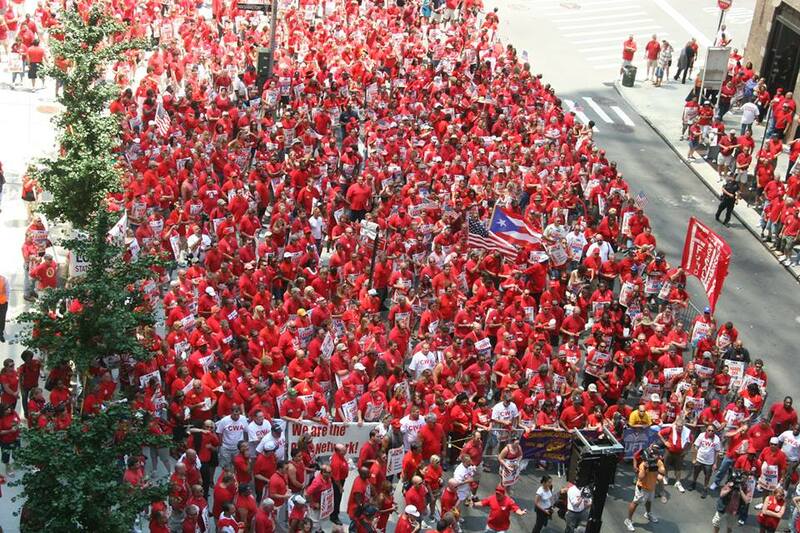 This morning, working people at Verizon went on strike. It’s never good when working families have to take this step but Verizon workers felt they had no choice. They’re fighting to create a better workplace for themselves and those that come after them. They aren’t going to give up until Verizon ends its push to send jobs overseas, stops intimidating Verizon Wireless workers who are trying to create a better future for themselves and their families and drops its demands to cut retirement benefits, gut job security and to make workers move away from their homes and families for months at a time just to keep their jobs. “The AFL-CIO stands in solidarity with the Communications Workers of America and the International Brotherhood of Electrical Workers fighting for a fair contract. The 39,000 working people who went on strike this morning at Verizon deserve a fair contract that provides stability and acceptable working conditions. Verizon made $39 billion in profits over the last three years, but is unwilling to provide job security, better benefits and safe working conditions to the people who made it possible for their top five executives to make over $233 million in the last five years. These demands from Verizon executives are absurd. Verizon workers helped the company make $39 billion in profits over the last three years — and $1.8 billion a month in profits over the first three months of 2016. But that’s not enough for Verizon. It’s time for Verizon to acknowledge that working families also have a right to do well in America. It’s time for a contract that’s fair to Verizon’s working people and the customers they serve. Add your name to the petition telling Verizon CEO Lowell McAdam you’ve got the back of striking workers and want him to settle a fair contract now. 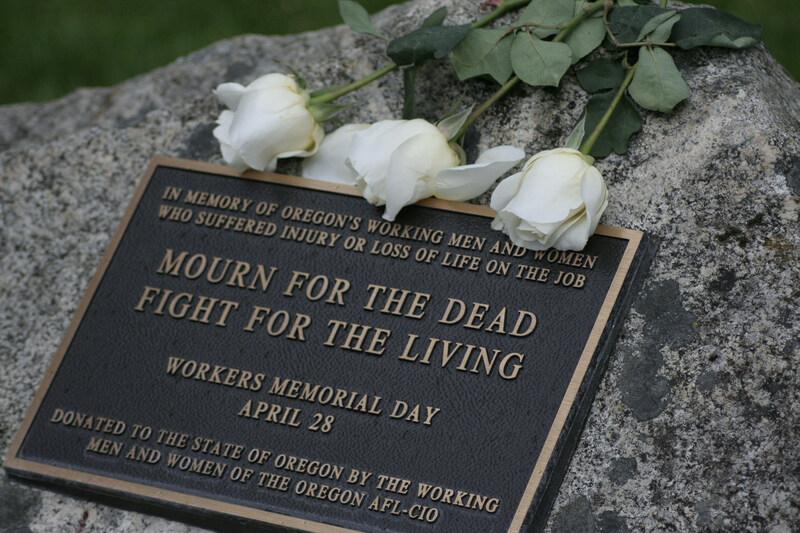 The Oregon AFL-CIO will hold the annual memorial service in observance of Workers’ Memorial Day at the Fallen Worker Memorial at the state Capitol Mall in Salem on Thursday, April 28th at noon. Activities starting at noon will feature remarks from elected officials, union leaders and safety and health advocates. The memorial service will include a reading of the names of Oregon workers that suffered fatalities on the job and Oregonians killed in military service to their country in 2015. Every day, too many American workers are killed on the job. Thousands are injured each year. And the days and years cut off workers’ lives due to occupational diseases are immeasurable. Workers’ Memorial Day is a day to remember those killed and injured workers as well as the contributions they have made to our society. It is also a day when members of organized labor can demonstrate their commitment to ending the needless pain, suffering and loss of life, which are associated with unhealthy and unsafe working conditions. Deception seems to be the name of the game at Volkswagen. As if the diesel emissions scandal wasn’t enough, Volkswagen is now deceiving working people at its plant in Chattanooga, Tennessee. Workers in the skilled trades division of the plant last year voted overwhelmingly to join the UAW to create a better workplace. Volkswagen executives promised to respect the workers’ vote, but now the company is going back on its word. Volkswagen is refusing to negotiate with workers and choosing instead to use the legal system to evade that responsibility. Send an email to Volkswagen executives to tell them to sit down and negotiate with working people in the skilled trades division of the Chattanooga plant. This isn’t the first instance of dirty tactics working people at the Chattanooga plant have faced. In 2014, workers were voting to elect the UAW as their collective bargaining representative when Tennessee politicians and big money interests ran an intense campaign of threats and intimidation. Some Tennessee legislators went so far as to threaten to take away economic incentives from Volkswagen if it allowed people at the plant to form a union. Now Volkswagen is continuing with the deceitful tactics. The company’s refusal to negotiate with skilled trades workers is not only a reversal of its pre-election statements, but violates its own Declaration on Social Rights and Industrial Relationships. To regain the trust of its stakeholders, Volkswagen must make corporate social responsibility more than just a slogan and a public relations strategy. It must recognize that emissions controls are meant to limit the social costs of air pollution, and that negotiating collectively helps create and sustain a productive and secure workplace. 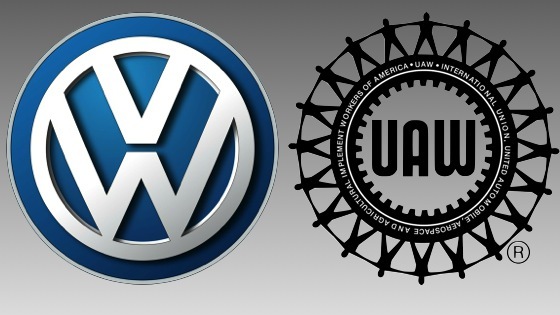 Send an email now to demand Volkswagen stop dragging its feet and get to work negotiating with Chattanooga skilled trades workers to create a better workplace. Older PostWeekly Update: What’s At Stake?